What is the function of the engine disassembly and operation training platform? 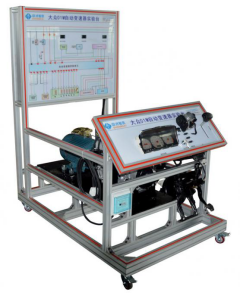 The engine disassembly and operation training platform is a kind of vehicle teaching equipment. It is used for students to disassemble the engine and verify whether the disassembled engine is running smoothly. It uses a real and operable engine to fully demonstrate the engine structure. The gantry is equipped with a diagnostic seat and a circuit chart to learn the self-diagnosis function of the engine system. It can manually read the fault code, or it can be connected with the computer diagnostic instrument to read the fault code and data flow. Switching can be used to complete the fault function. After the fault is set, the trainer can use the special instrument or multimeter to detect from the panel and check the position and content of the set fault point. The engine can be flipped and refined at any angle in the disassembly, disassembling and disposing. The two systems do not interfere with each other, facilitate the connection, carry out the basic operation and learning of the EFI engine, electronically control the operation test, reproduce the working condition of the engine, timely detect the assembly effect, and can call out the data flow, fully satisfying the engine disassembly, installation, debugging and inspection. The requirements of the whole process. 1. It consists of oil receiving basin, worm gear deceleration self-locking mechanism, movable gantry and engine mounting mechanism. 7. The gantry is equipped with 4 universal moving casters, convenient for the gantry, and equipped with brake casters, which can be locked at any time.